My daughter Hailey and I are headed to the Philippines on a mission trip in January. Please take a look at our newsletter and join our support team. We can really use your help. 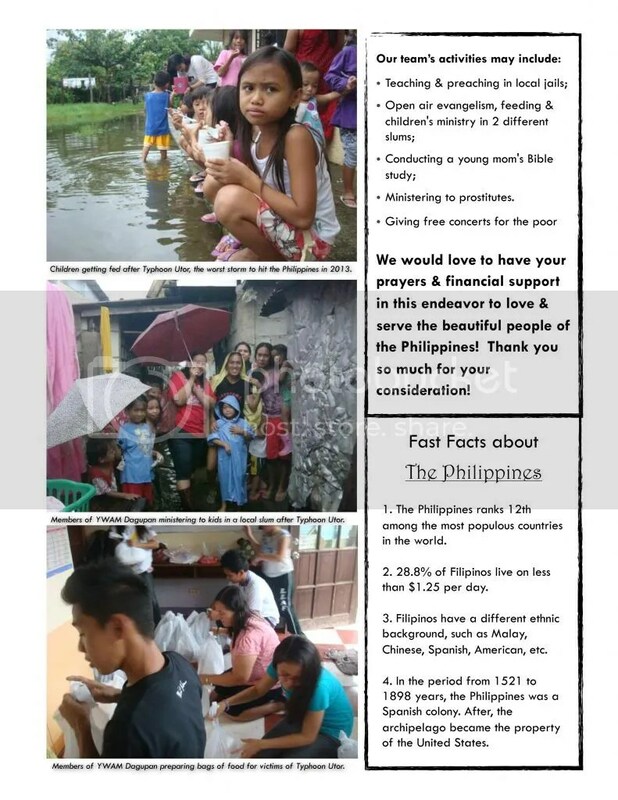 Go to www.give-relief.org and write “Philippines Trip- Juan & Hailey” in the designation field. You can also write a check made out to New York City Relief and mail it to 295 Walnut Street, Elizabeth, NJ 07201. THANK YOU!